It is not only the demand for green home but the potential to save money over the lifetime of owning a home causing homeowners to look for affordable energy efficient improvements. Here are a few simple options for current and prospective homeowners to improve their energy usage and reduce their utility bills. Swapping out older appliances for newer models can provide homeowners with additional energy savings. Look for appliances with the ENERGY STAR® label. The use of such appliances have been known to save residential and commercial property owners approximately $300 billion on related utility bills. When it comes time to do a load of laundry or run the dishes, run the appliances during off peak times. This taps in to the energy grid during times of lower usage and can save money for the savvy homeowner. Rather than run the dishwasher for a few dishes, wait until it is full before doing a load. In addition, unplugging items such as computers, televisions and toasters when not in use can reduce energy consumption. Simply using appliances and keeping them in good repair can help. Homeowners can save money while also performing regular maintenance tasks. Homeowners in older homes may need to address drafts around windows and doors. When homeowners properly insulate homes and seal air-leaks, they not only live in a more comfortable environment but help keep their home cool in the summer and warm during the winter. Home sealing is recommended by the EPA to improve the “envelope” of a home. Another aspect is to fix and repair issues with the HVAC system. An issue with the AC can make the system work harder to cool a home and use more energy in the process. Simply making a small repair and maintaining the system can cut the amount of energy needed to heat or cool a home. Addressing the maintenance needs of a home and the heating and cooling system are two ways to make a home more energy efficient. As more homeowners look to make upgrades and improve their energy consumption, they may overlook the easy and affordable ways available to them. Some of these ways do not cost a homeowner an additional penny and can allow homeowners to actually improve the longevity and function of the appliances in their home. Other aspects can be included during the regular maintenance activities required of owning a home. 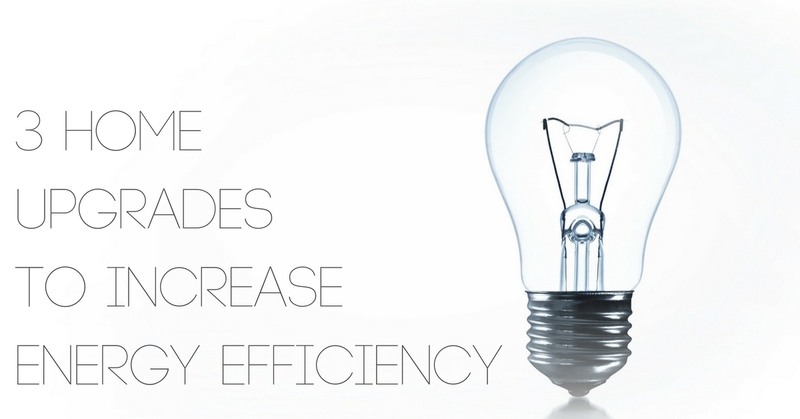 Take the initial steps to decreasing energy use and add additional improvements when the budget allows, and even an older home can be efficient much like many of the newly built listings in leander.